I fall. A lot. It's often public and typically accompanied by a wordless bellow drawing unwanted attention. The irony is that I was once graceful, a professional actor adept at manipulating body and voice to portray a range of characters. After years of falling I now shout out: "I'm OK. I fallƒ I'm OK."
In 2005, while on the San Blas Islands of Panama, I ran crown-of-head first into a wooden pole sticking out of a cabana. In the pitch-black starless night, I had chosen to shine my flashlight downward to ensure I didn't trip and hurt myself. The impact left me with a traumatic brain injury. I had no idea how much information my brain auto-processed in the imperceptible nanoseconds that made up life—until it didn't. One day not too long after the accident, there was a knock on my door. I opened it to a curt voice saying, "Excuse me, ma'am, is that your VW Beetle running in the middle of the street?" With no memory of even being in the car, I desperately tried to trace the day back in time. Nothing. An impenetrable wall stood between me, and me. The quick-footed, constantly mobile up-and-comer persona I'd evolved into was grounded. Life would never be the same, which sounds clichéd until it happens to be your life. To help heal, I returned to a concept I'd learned as an undergraduate at Case Western Reserve University. Central to my study of theater was the idea of process. While learning classical acting methods, I developed my own step-by-step approach, grounding each creative impulse in reliable craft. In the years following graduation, I collected a solid list of acting and directing credits. I built a résumé of impressive titles, including director of educational programming at the Sundance Institute. PROCESS = PROGRESS. When my forward motion was literally stopped cold by the accident, process took on entirely new meaning. Suddenly PROCESS = SURVIVAL. After three years, I entered a graduate program at the University of New Orleans to study playwriting. The familiarity of the coursework triggered an awakening in parts of my mind I thought were lost. In 2010, I spent a week in residence at the Kennedy Center in Washington, D.C., because I had won the Jean Kennedy Smith Playwriting Award. I stood in triumph, a great milestone. Two weeks later, an F-150 truck hit a car in which I was riding. Down, again. Recovery from traumatic brain injury is nonlinear. It requires healing, reeducating and compensating. It demands patience and perseverance. The second accident lengthened that process. I was left with a permanent, invisible disability. My balance is compromised, and I tire easily. I'm forced to think sequentially, consciously focused on all the moment-to-moment steps and choices that go into the simplest actions. It's exhausting. Yet it brings unexpected gifts. I am no longer capable of obsessing about where life is going and am amazed by the fullness of a slower-paced life centered in the present. Today, nine years after the initial injury, I stand on my own two clumsy feet, MFA in hand. I steady myself not with the sure footedness of brain-driven control, but with the hard-won, heartfelt confidence that comes from accepting that I fall. I am no longer graceful, yet my life is filled with grace. I most certainly will fall again. Knowing this allows me to live fearlessly. When I do fall, I will shout triumphantly with every cell of my being: "I fall. I'm OK." Now, PROCESS = LIFE. 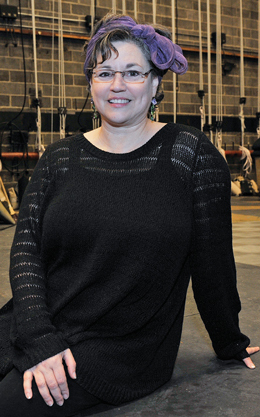 Lisa Beth Allen (Allenick while at Case Western Reserve University) is a playwright now living in the Cleveland area with her husband, Tony Cisneros. 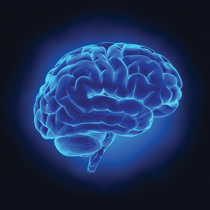 Brain scans show power of compassionate coaching. New imaging techniques could spur better treatments. Locating best place to deliver electrical stimulation. Giving man with prosthetic hand the ability to feel what's in his grasp. Alumna Lisa Beth Allen (WRC '83) shares what life is like after traumatic brain injury. Exploring the Brain: Research teams pursuing a broad range of projects to better understand what lies within our skulls. Taking Center Stage: Work begins on The Milton and Tamar Maltz Performing Arts Center. Consuming Passions: Student entrepreneurs shine at international electronics show.